At 30 March 2004, we greatly regret that this Tour has had to be CANCELLED as not enough people signed up to it to make its price viable. 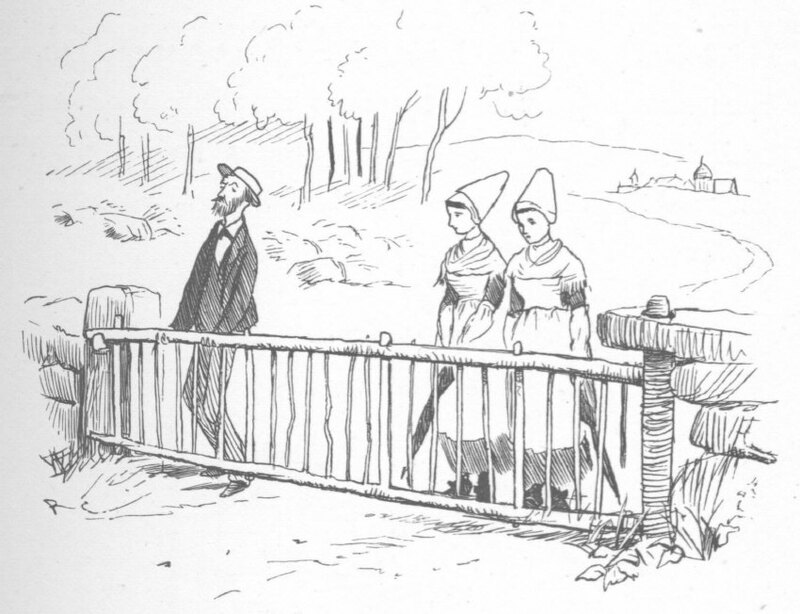 For the 21st Anniversary of the Randolph Caldecott Societies (UK and USA), we had planned a joint Tour of the places in Brittany (Bretagne), France, which Randolph visited to illustrate his book "Breton Folk". The Tour would have started from England, and travel by coach to Brittany. The coach was to collect us from (and return us to) Crewe, Reading or Portsmouth. (Members of the Tour arriving by air should aim to arrive at London Heathrow, from where it is easy to get to Reading.) We were to stay in 2 different places, travelling by coach (not by horse & trap as Randolph would have done!) 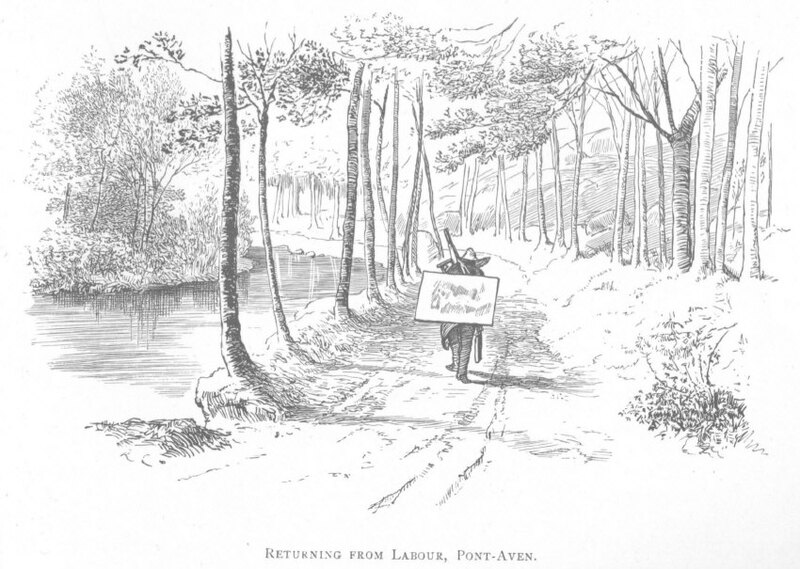 each day to see many of the places which Randolph saw and illustrated. 5 nights at Hotel Mercure, Quimper. Duration: 9 days (including overnight on boat each way). Single rooms/cabins, subject to availability, GB£ 190 (US$ 300) extra. You didn't have to be a paid-up member to join the Tour (but of course we'd like you to join).